Mary and I love sunflower seeds. We like to roast them and eat them ourselves and love to feed them to the birds in our bird feeders. But, we have had trouble finding sunflower seeds here in Ecuador. So… We did what we have learned to do here and we planted our own sunflowers. The seeds are growing quickly and we hope to have a good crop of sunflower seeds soon. 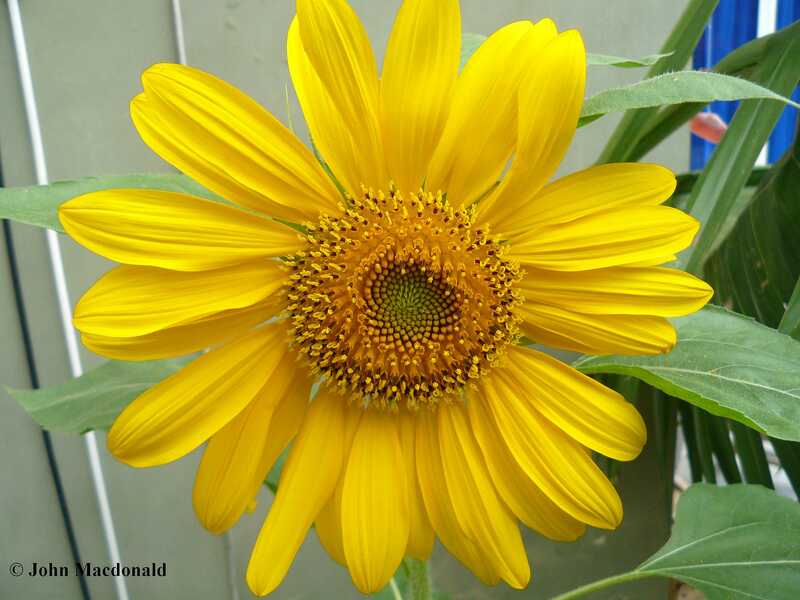 This last week the first sunflower opened up. It is about six inches in diameter, but seems to get larger each day. Just for fun, I took my camera and tried to get a few macro close-up pictures of our first flower.